The winery’s experienced vintner, Andrew Gold, makes several white wines, including a Pinot Grigio, a Riesling, a Vidal Blanc, a Chardonnay, Betty’s Blush — “reminiscent of a White Zinfandel,” and a Rosé. Reds include a Merlot and Trolley Car Red, a blend of Merlot and several red varietals. Although they have planted three-year-old grapes and cleared more land for planting, the owners say they do not envision ever growing enough grapes to make estate wines. Their grapes come mainly from Portsmouth and Middletown vineyards in Rhode Island, with others from a Napa Valley, California vineyard. The winery, which produces a hard cider made from Rhode Island apples, is considering experimenting with cranberry and blueberry wines. 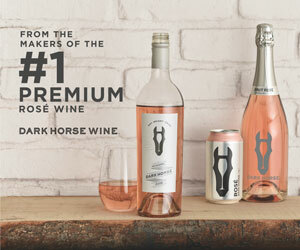 A sparkling Riesling, a Champagne-style wine, and a sparkling rosé are “two new wines that we’ll sell this winter,” said Ribeiro, who noted overall wine production in 2016 was twice that of 2015. 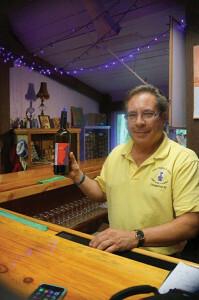 Dan Ribeiro, Owner, The Purple Cat Vineyard & Winery. “We like to put [out] a product that has mass appeal,” Ribeiro added, noting that their wines have been well received by customers. 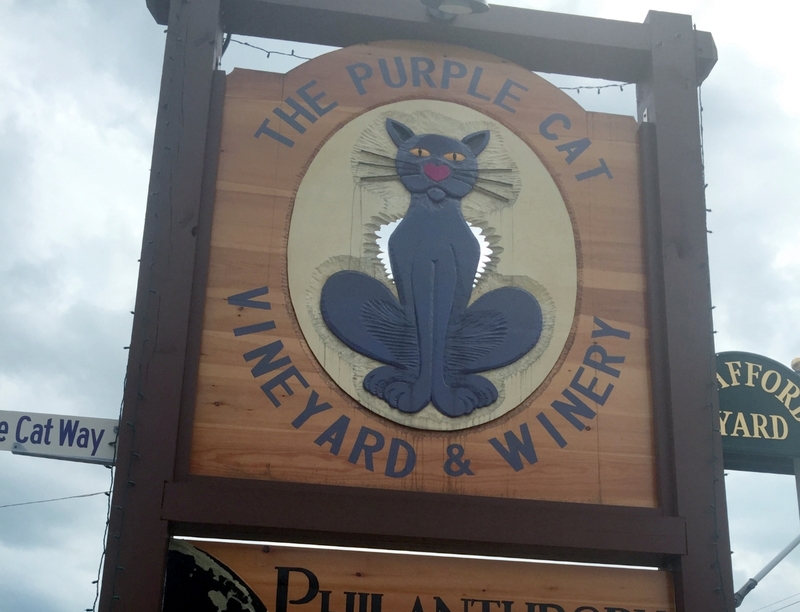 As the Purple Cat Vineyard & Winery is not far from the Connecticut Wine Trail, they also draw customers from nearby Connecticut and Massachusetts. The winery, which employs six individuals, sells most of its wines onsite. “We don’t have inventory levels high enough to supply multiple locations; to be honest, as fast as we can make it, we’re selling it,” he said. Before Ribeiro and LaVoie bought the nearly 40-year-old, 11,500-square-foot building, it had housed an indoor mall, flea market and party store. 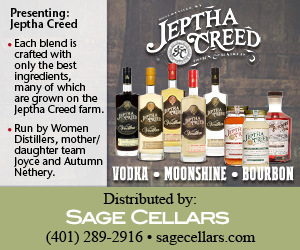 The winery’s tenants – the Philanthropy Tea and Coffee Company, which hosts a café, and the Theater Company of Rhode Island – attract visitors, as do its dueling pianos’ competitions, open-mic nights, shows and family festivals. 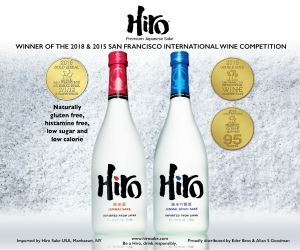 “We do have wine tastings, but we’re not trying to focus people’s attention on wine; we want them to come in for family events,” said Ribeiro. 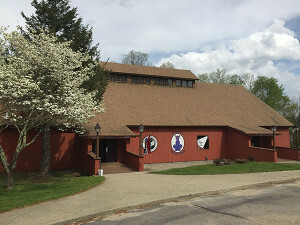 Open seven days a week, the venue – with a purple piano, purple walls and purple accents everywhere – includes a small shop and tasting room, a TV room, the Meow Room for parties and showers, and the Purple Cat Playhouse (separate from the Theater Company of Rhode Island) for fundraisers, larger parties and concerts. The company continues branching out into other venues to draw more customers, including building an onsite brewery. The Purple Cat Winery and Vineyard is located on 11 Money Hill Road in Chepachet, Rhode Island.